Miles Franklin sponsored this article. Borrow and spend! Debt and bubbles. Happy days are here again. Unpleasant consequences will result from imploding bubbles in corporate debt, housing, student loans, stock markets, sovereign debt, cryptocurrencies and others. Official U.S. Federal government national debt exceeds $21 trillion and has doubled every 8 to 9 years for decades. The owners of that debt paper expect to be repaid with interest. Payments will be made by issuing new debt. 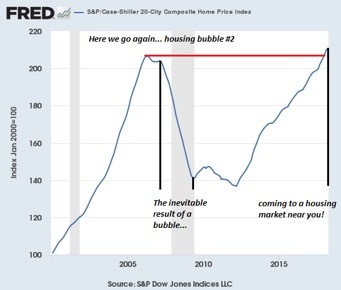 Bubbles, whether sovereign debt, stocks, or housing, pop. 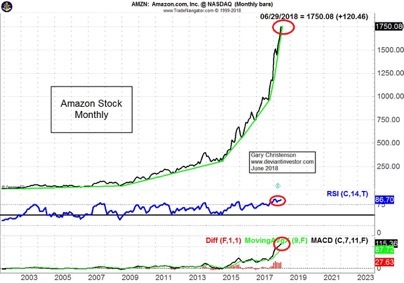 Example: Dot-com stocks in 2000 and the Housing Bubble in 2008. Charles Hugh Smith added notes to this graph of the Home Price Index. 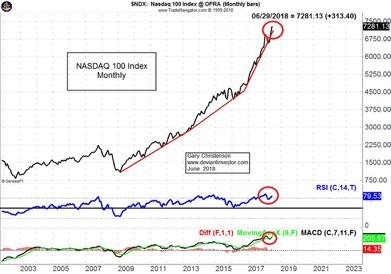 What about the NASDAQ 100 Index? The NASDAQ is wildly over-valued or in a bubble. 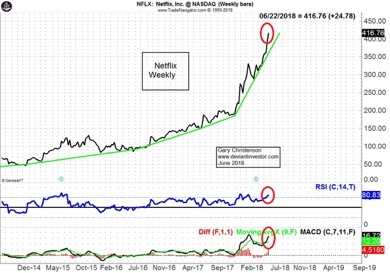 Note the very high monthly RSI at the bottom. Individual stocks have also risen into bubbles. They will rise… until they can’t. Maybe this week, maybe next year… Look out below! Debt will increase. National debt, corporate debt and other debts expand. However, no index, stock, or pile of dodgy debt can grow forever. Those bubbles will pop someday. The S&P 500 Index will rise and fall, but because the dollar is devalued by excessive debt and currency creation, the S&P will rise long-term. However, its rise, based on history, will be slower than the national debt. 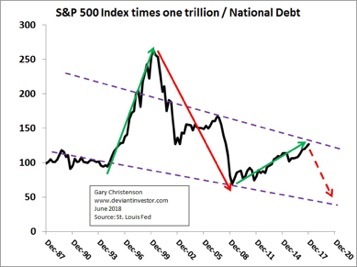 Examine this chart (quarterly data) for the ratio of the S&P 500 Index (times one trillion) divided by official U.S. national debt. The chart shows that debt increases more rapidly than the S&P. The S&P peaked in 2000, 2007, and 2018. The next significant move for the S&P is probably down. 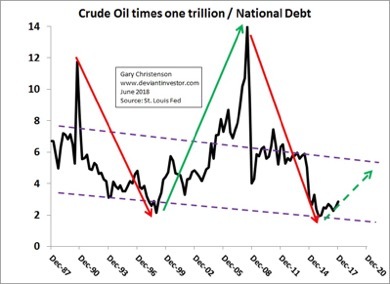 Examine this chart (quarterly data) for the ratio of crude oil divided by national debt. The chart shows that debt increases more rapidly than crude oil. Peaks occurred in 1990 and 2008. Crude oil is relatively low today. The next significant move for crude oil is probably up. 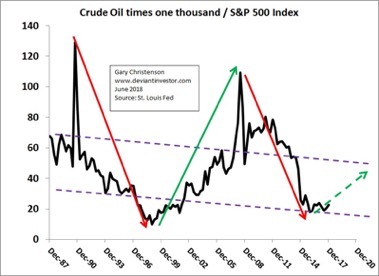 Examine this chart of quarterly data for the ratio of crude oil divided by the S&P 500 Index. The chart shows that crude oil has increased less rapidly than the S&P 500 Index. The next significant move for crude oil is probably up while the S&P corrects downward. The 30 year gold to crude oil ratio is usually between 7 and 33. It averages about 17. 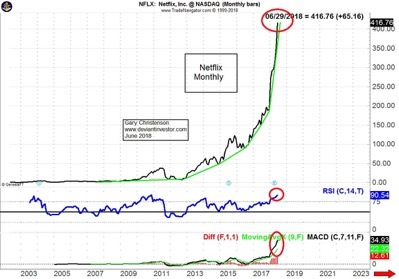 SO WHAT DO THESE CHARTS MEAN FOR PRICES IN 5 – 10 Years? These are not predictions. They are rational speculations about prices based on decades of historical data. If national debt is $21 trillion and doubles ever 8 – 9 years, then official national debt should exceed $40 trillion before 2027. If the S&P/debt ratio declines for 5 – 10 years to about 50, then the S&P could be around 2,000, perhaps 30% less than today. John P. HussmanD. expects a larger drop than 30% over the full credit cycle. If the crude oil (times one trillion) to debt ratio rises as it has in the past, the ratio could move to around 6. Crude oil prices would be over $200. A spike higher from a Middle-East war or a collapsing dollar would suggest $300 or more. Gasoline prices at the pump in the U.S. could be $8 to $15. That will be traumatic. 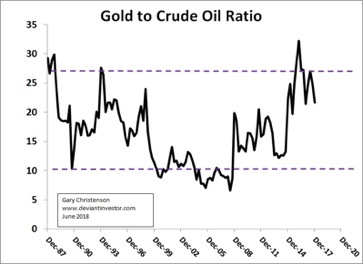 The gold to crude oil ratio for 30 years has ranged from 7 to 33. The average has been about 17. If crude oil is priced at $200 to $300 in the next decade, then gold could be priced at $3,000 to $6,000 per ounce, say $5,000 or higher. A silver bull market could see the gold to silver ratio drop to 50 or perhaps as low as 17 (1980 ratio). 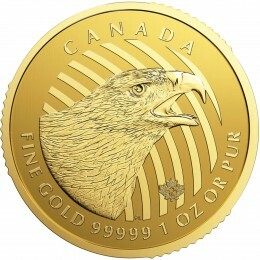 If gold is priced at $5,000, silver could reach $100 to $200. SHOULD WE BELIEVE THESE SPECULATIONS? They aren’t predictions. They are calculations based on long term trends and ratios. Reasonable does not mean inevitable. Much can change in a decade. Debt, total currency in circulation and prices will increase until they reset. If they continue on their decades old path, the above numbers are reasonable. But many events and policy changes could drive prices much higher or lower than indicated by these speculations. Don’t think that because the S&P has risen for nine years it will rise for another nine. Similarly, gold and crude oil prices are well below their all-time highs, but history shows they will exceed those highs when currencies devalue enough, when shortages occur, when desperate investors seek safety, when… who knows. Decades of history indicate rising debt and increasing prices. Debt and prices will continue rising. Don’t rule out flat to lower prices for stocks in the next 5 – 10 years. Don’t rule out crude oil prices reaching $200 per barrel in the next 5 – 10 years. 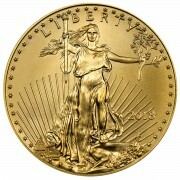 Don’t rule out gold prices reaching $5,000 in the next 5 – 10 years, or spiking far higher. 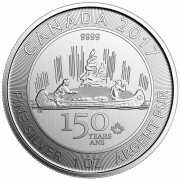 Don’t rule out silver prices reaching $100 or more in the next 5 – 10 years. Miles Franklin can’t stop the debt tsunami that sweeps the world. They sell gold and silver. Take advantage of lower prices. 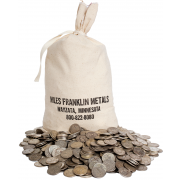 A swap from over-valued stocks into under-valued silver makes tremendous sense. A swap from over-valued stocks into the long-term safely of gold makes good sense.